AFTER doing five runs in Mumbai since last September, The Patchworks Ensemble is bringing its second full-length production, Tape aka The Gentlemena��s Club, to Bengaluru this week. Last year, they had visited the city with a play called Ila. It explored gender fluidity, and was set in a compartment on the Mumbai local train. The same issue is at the heart of their second outing here, but this time around, it takes you into the underground club scene of an imaginary Mumbai, and is told in a highly entertaining cabaret-like format. Tape aka The Gentlemena��s Club is the story of drag kings a�� female artistes who dress up as men, and perform like them, mostly exaggerating the masculine mannerisms. Actor Puja Sarup, who runs The Patchworks Ensemble along with Sheena Khalid, plays the main drag king. Her character, named Rocky, does a Shammi Kapoor-like act every night, as Shammsher. She also copies the famous Kisko Pyaar Karoon dance moves. Sarupa��s attire includes a shimmery gold jacket, black trousers, and a wig of curls. Alex, played by Khalid, is Rockya��s stage buddy. Alex impersonates Justin Timberlake, as JT, completing the look with a hat, and a suit. Yes, the play is not set in any particular time, or era. The duo is also interviewed by a documentary filmmaker, essayed by Rachel Da��Souza, during the play. While drag queens, or female impersonators, are nothing new, the novelty of drag kings is what got the team interested in the topic. Khalid says, a�?I had heard and read about it in books on gender and performance. 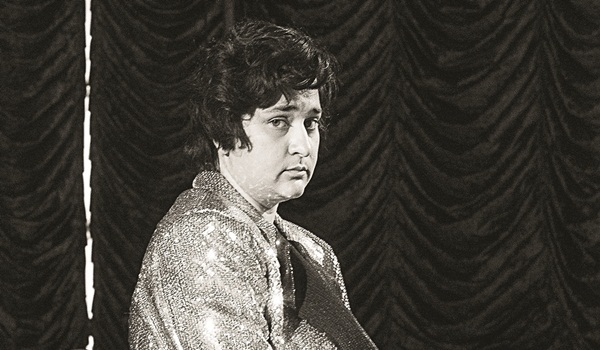 At one point, director Vikram Phukan suggested we do a drag king play modelled around Shammi Kapoor.a�? Why Kapoor, we asked? Khalid, whoa��s devised the play along withSarup, Phukan, and Da��souza, explains, a�?Phukan had an interesting reason. Kapoora��s portrayal in cinema has been that of a lover, but ita��s never been as masculine as Salman Khana��s. He has a softness about him. He was also called the Elvis Presley of India. And Presley is an icon for drag kings internationally. So we jumped on the idea.a�? The 70-miunte play will pack in dance numbers from the golden era of Bollywood, jazz, and comical moments. But is there any underlying message? a�?Not really. Drag is about celebrating genders, either heightened states of femininity, or masculinity,a�? signs off Khalid.